On the night of her 36th birthday, game dev Nadia Vulvokov is celebrating with friends at a loft party on Lower East Side. After a casual hookup, she hits up a bodega to search for her missing cat and gets mortally struck by a taxi – only to wake up right back in the bathroom at her birthday party. Like Happy Death Day and Edge of Tomorrow, Nadia is forced to relive the same day – the day of her death – over and over again. And like Black Mirror: Bandersnatch, it’s about a video game programmer stuck in a cyclical hellhole. Nadia is playing the video game of life on the hardest difficulty setting. Every time she dies, she’s sent back to the beginning of the level, forced to examine her actions and learn from them in order to make it further. It’s Groundhog Day, Lower Manhattan style. Natasha Lyonne got her start at six years old when she was cast as Opal on Pee-wee’s Playhouse (1986). Since then, the native New Yorker has appeared in over 50 films, especially her memorable turns as Nicky Nichols in Netflix’s Orange Is the New Black and Jessica in the American Pie movies. As the empowering female lead, Lyonne delivers her best performance to date. 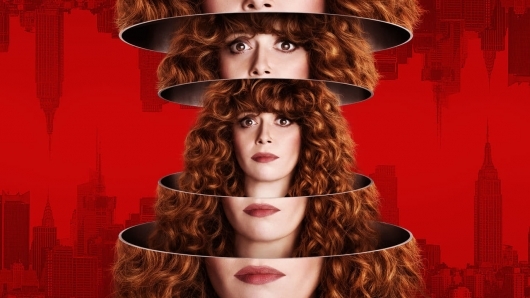 Armed with a dark sense of humor and a never-ending supply of one-liners, Lyonne’s Nadia is an extension of her real-life persona. She’s got loads of intelligence, wit, and pessimism at her disposal, and she uses them all to create a hilarious and endearing three-dimensional character. 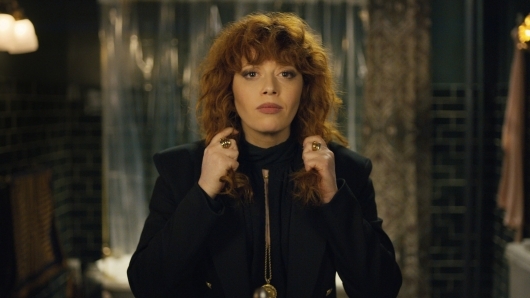 In addition to Lyonne, Russian Doll features a top-notch supporting ensemble including Greta Lee (Broad City) as Maxine, Nadia’s friend; Yul Vazquez (Bloodline) as John Reyes, a real estate agent and Nadia’s ex-boyfriend; and the legendary Elizabeth Ashley (Windows, Stagecoach) as therapist and close family friend Ruth Brenner. Charlie Barnett (Chicago P.D. and Chicago Fire), Dascha Polanco (Orange is the New Black), Burt Young (Chinatown, Rocky), and Chloë Sevigny (Boys Don’t Cry) also appear. 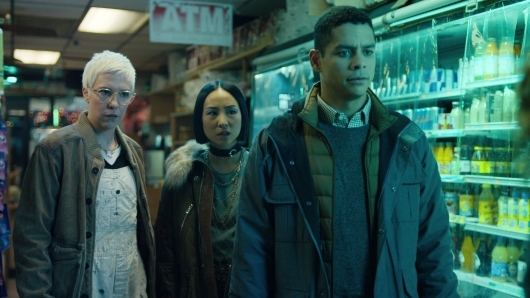 Broken down into eight episodes of about 25 minutes each, Russian Doll is the ideal format for binge-watching, with a fantastic cast and an intricate story that unstacks to reveal to a strong emotional core. Whatcha waitin’ for? 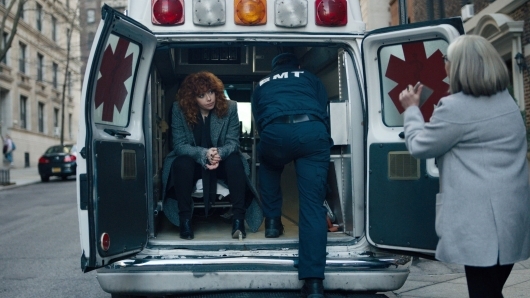 Stream the first season of Lyonne’s phenomenal series, exclusively on Netflix. If you need more convincing, click here for a trailer.